It’s now possible to automate nearly all of the mundane tasks about your home—turning lights on and off, locking and unlocking doors, setting the thermostats. At the same time, if you’re not a true techie, you might wonder why someone needs to automate these tasks. Just remember, at one point, many wondered why we’d need remote control for our television sets. So, let’s take a look at some of the hows and whys of home automation…you just might be tempted! When you automate items in your home, you add another way to control the device. You already have a light switch or a thermostat control, but now perhaps you can also control these devices with your smartphone. You may already have some devices that work on timers, but home automation makes scheduling easier and simple to adjust when your needs change. Many home automation appliances and devices today can be connected directly to your smartphone, but it’s also pretty easy to quickly pile up many new apps needed to control your home devices. So you might also consider a smart home hub, which should be able to control multiple smart home devices from one app. Some smart home devices let you save money—you’ll know the lights aren’t on when no one’s in the room, or that the thermostat easily adjusts on its own to your routine. Some are focused on convenience. How great would it be to have the back door unlock automatically when you approach, with your arms full of groceries? But smart home devices can also make your home even safer, or make it easier for seniors to stay independent longer. Consider whether you need a smart home hub. These devices can simplify your controls, giving you one device to control all others. Spend some time researching devices and ideas before you get started. A little research can save you some hassle down the road. Most of all, have fun! 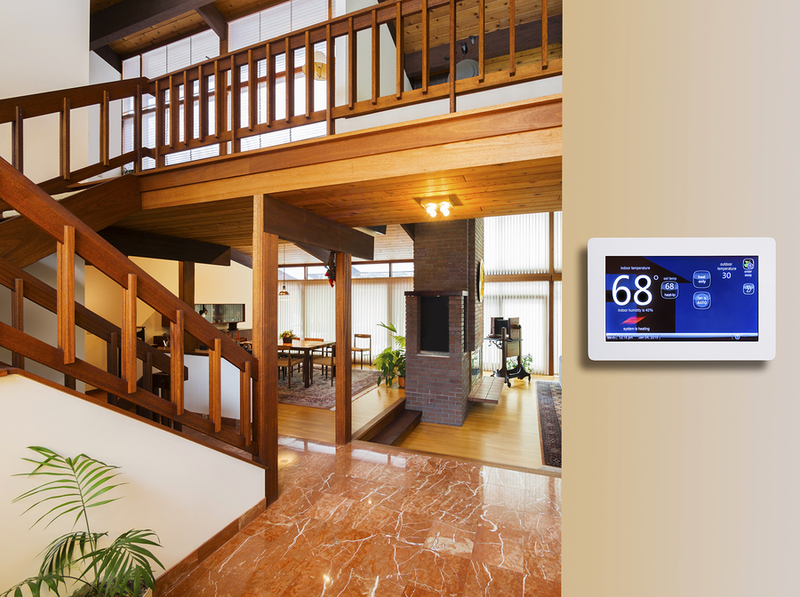 Home automation can make your life easier, and a lot more convenient.